Emma White is a PhD candidate in Infrastructure Engineering at The University of Melbourne. Her research concerns the statistical evaluation of the effectiveness of groundwater management plans. She is an experienced environmental consultant and has worked as a physical and contaminant Hydrogeologist. 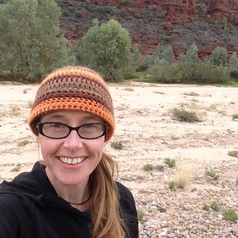 Emma holds a B.Sc in Environmental Geology from The University of Calgary (2007), and a B.A in Classical Studies from The University of Melbourne (1999). Hydrogeologist and Technical Writer, Groundwater Solutions Inc.
Can we manage groundwater? A method to determine the quantitative testability of groundwater management plans., White, E. K., T. J. Peterson, J. Costelloe, A. W. Western, and E. Carrara (2016), Water Resources Research, 52(6), 4863-4882.